This is the day I am starting this blog. The previous posts were written a minute ago, so from now on I will try and keep it up to date. This week I am feeling much better and stronger. I think I am ready to run again, but I am going to wait to get the go ahead from my physio. I am also aching a lot today after yesterday’s strength session. I start my days a 4:50am and leave the house about 5:10 after my bowl of porridge. I cycled 4 X Times richmond park – about 50km and then swim straight after 4 X 800M. This is now starting to get much easier and I can see real improvements in my speed and heart rate is lower generally. I use the morning cycle as a chance to listen to a new DJ mix. Today’s mix was by Edu Imbernon. The closing party at Space Ibiza and it rocked. 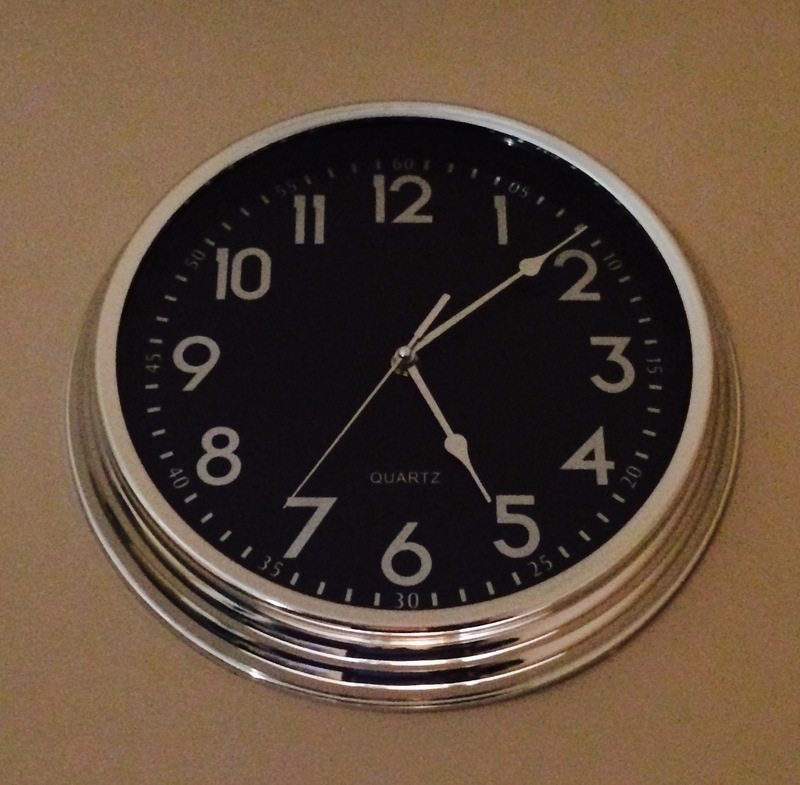 Here is a picture of my clock (glad there was no typo there!) when I leave. This entry was posted on February 4, 2014, 10:21 pm and is filed under Daily Blog. You can follow any responses to this entry through RSS 2.0. You can leave a response, or trackback from your own site.